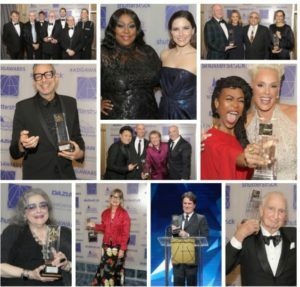 During a black-tie dinner gala at the InterContinental Los Angeles Downtown, the Art Directors Guild (ADG, IATSE Local 800) announced the winners of its 23rd Annual Excellence in Production Design Awards in 11 categories of film, television, commercials, music videos and animation features. More than 950 people, including guild members, industry executives, and press were in attendance. ADG President Nelson Coates and Art Directors Council Chair Mark Worthington presided over the awards ceremony with actor and comedian David Alan Grier serving as host. The Producer of this year’s awards show was Production Designer Scott Moses, ADG. Lifetime Achievement Awards were presented to Oscar-nominated Production Designer Jeannine Oppewall by Producers Bonnie Curtis and Julie Lynn; Senior Illustrator and Production Designer Ed Verreaux by Oscar-winning Production Designer Rick Carter (Avatar, Star Wars: The Force Awakens); Scenic Artist Jim Fiorito by Pat DeGreve and Set Designer and Art Director William F. Matthews by ADG Executive Director Chuck Parker. The late British Production Designer and Set Decorator Anthony Masters, nominated for an Academy Award® for the film 2001: A Space Odyssey, and Benjamin Carre, best known for his work on The Phantom of the Opera and The Wizard of Oz, were inducted into the ADG Hall of Fame with a special presentation by Production Designer Michael Baugh. 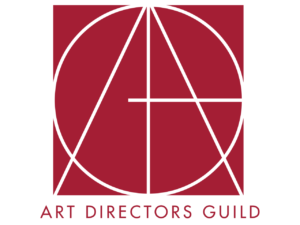 Former Trustee of the Set Designers Council and member of the Board of Directors of the Art Directors Guild Marjo Bernay received the ADG Service Award for her 30 years of dedication and hard work for the entertainment industry and the four local IATSE locals including Local 790, Local 847, Local 854 and Local 800.